Born In Angola and currently teaching in Spain and the UK. I have been a yoga practitioner for almost 13 years. Returning home to Angola about 5 years ago I now the proud owner of a yoga studio in Luanda Angola. My first yoga practice was alone with books. After finding Ashtanga Yoga London I became a regular yoga student. My dedication and enthusiasm to learn yoga inspired me to make two long trips to India to study with the great yoga master Sr. K Pattabi Jois and other great teachers. My unique style and gentle approach to teaching has inspired some of my students to become yoga practitioners around the world. 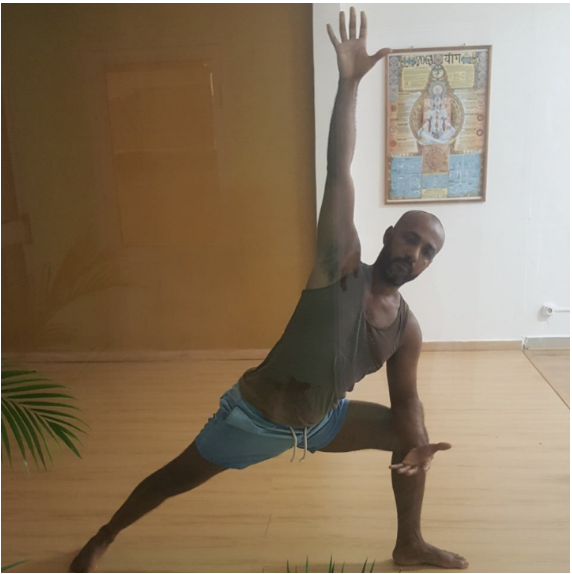 Along with being a yoga teacher, I'm also a Sport and Fitness Graduate, Personal Trainer, CHEK Institute Practitioner, Level 2 holistic life coach and member of Reps. Making the most of this tranquil environment we will delivering Yoga & Meditation sessions in some of the most picturesque places. I'm particulary looking forward to the early evening dusk sessions.